NVIDIA has rolled out a new set of graphics drivers for all GeForce-based graphics cards. R385.28 adds support and optimizations for Agents of Mayhem and provides VR support for Killing Floor: Incursion. If you need for advanded features, R382.88 exposes OpenGL 4.6 / Vulkan 1.0.56. “Under review. Target release in NVIDIA 387.00 drivers. 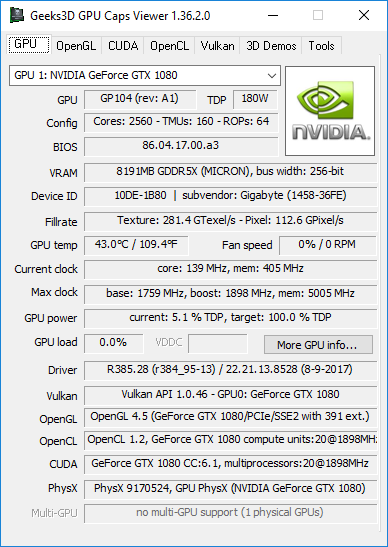 Next Nvidia driver branch is R387.